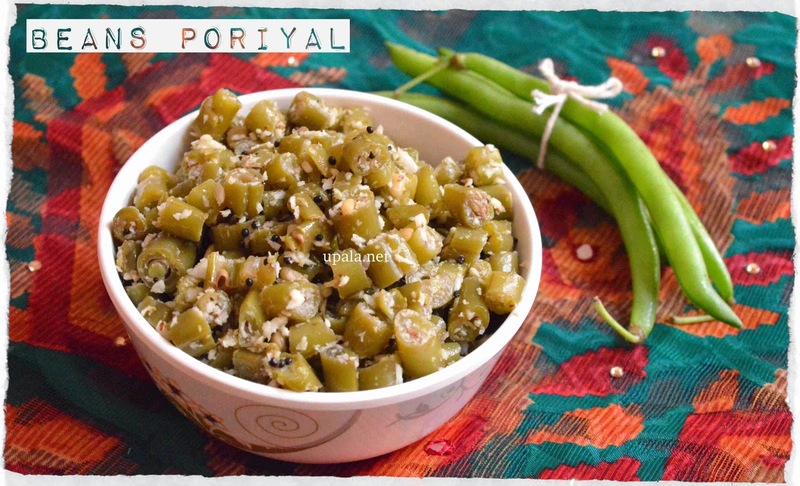 Beans poriyal is an easy and tasty side dish for rice A good news for weight watchers is that beans are low in calories and rich in dietary fibre. 1) Wash and clean the beans, trim the edges and chop them. 2) Pressure cook beans for 1 whistle. Cooked beans leaves some water, drain it and keep aside. 3) Heat oil in a kadai and add mustard seeds. After it crackles, add urad dal and fry. 4) After it turns light brown colour add cooked beans. 5) Mix salt and grated coconut to beans. Switch off the flame. 1) When you pressure cook the beans it looses only the green colour not the nutrition. 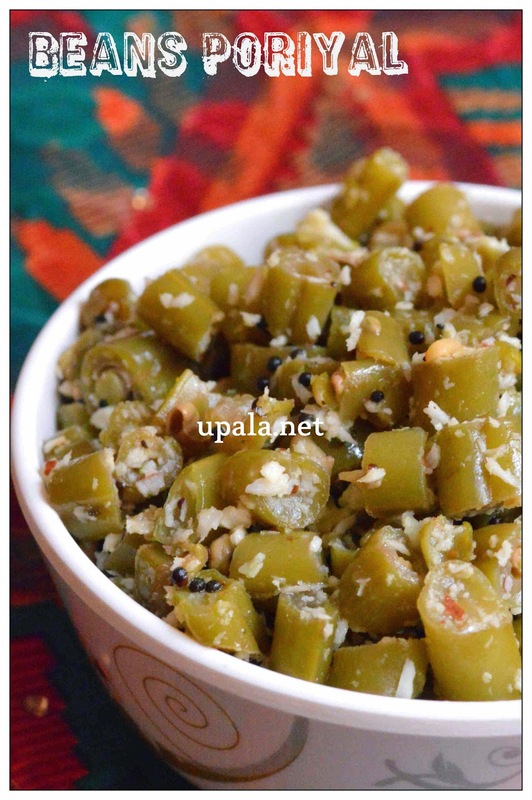 If you want the green colour to be retained, add chopped beans directly to kadai after seasoning. Add 1/2 cup water and cook the beans in kadai itself. 2) Pressure cooking beans helps us save time. 3) Don't waste the left over water, it can be added to Rasam, kootu or sambar.